In a couple of days we will look 2015 full in the face. The clock will begin to tick, as another year picks up speed to fly by. In the meantime, I take this moment to look at the past year. It’s raced past at the speed of thought, and at times I couldn’t begin to get my head around what God was up to. He’s always at work all around us; and I mean all the time. It’s been a spectacular year. Unbelievable. God keeps raising the bar. I no longer know what to expect, except that it is going to be something wonderful! 2014 was a year of new friendships and reconciliations. It’s been a year of beginnings and endings, of completions and deletions, and of walking closer to the God of Abraham, Isaac and Jacob. He’s taught me more about humility, more about trusting Him, and more about demanding less of myself. A verse I learned many years ago loomed in front of me the better portion of the year. “Trust in the LORD with all your heart and lean not on your own understanding; in all your ways acknowledge him, and he will make your paths straight” (Proverbs 3:5-6). Google reports what people searched for most throughout the year 2014. I believe most people search their hearts for peace. Click here to see what people searched for on Google throughout the year! Could angels have appeared here? 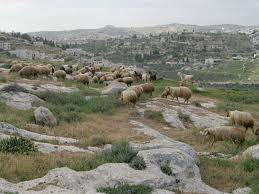 “And there were shepherds living out in the fields nearby, keeping watch over their flocks at night” (Luke 2:8). Is this what it looked like when the first angel appeared? “Suddenly a great company of the heavenly host appeared with the angel, praising God and saying, “Glory to God in the highest and on earth peace to men on whom his favor rests” (Luke 2:14-15). Nativity Square in Bethlehem today. Even though we celebrated Christmas two days ago, I still feel the pull of the story of Jesus’ birth. I will never stop wondering at the magnificence of the story. God came to earth to save us. It’s so much over amazing. In fact, that is what all of my writing is about. It’s the retelling of the story of Jesus and His life here on earth. I love to tell the story, over and over again, in many different ways. In 1999 David and I visited the Church of the Navitivity in Bethlehem. I counted fifty tourist busses waiting in line. It was so different from the year before when my son, Craig, and I were there. 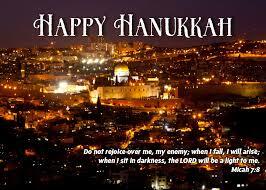 At that time Israel had come under attack and few people were seen on the streets. Our small group of twelve students from Jerusalem University College were led through the Church of Nativity. Our voices echoed through the vacant building. We walked through the Church of Nativity to a staircase going down to the cave where tradition says Jesus was born. 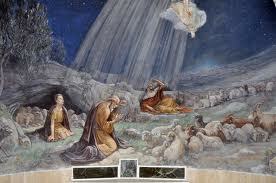 There we viewed the Silver Star of Bethlehem and Altar. 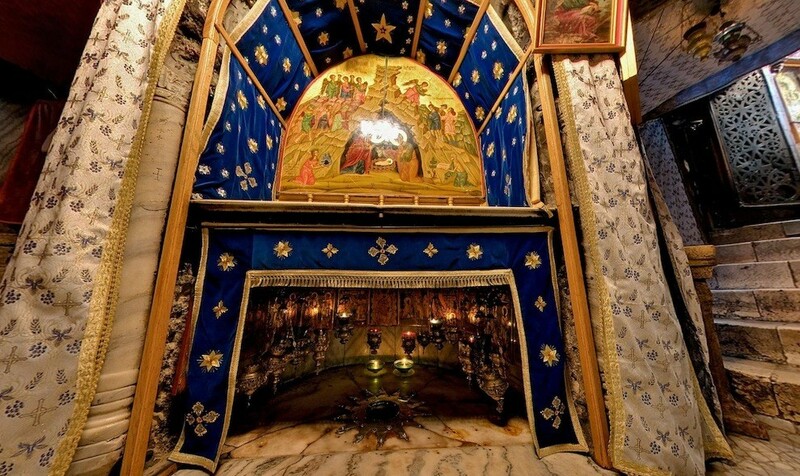 The Roman Catholics have exclusive possession of the Altar of the Adoration of the Magi in the area of the Grotto of the Nativity known as the “Grotto of the Manger”. The Catholic Latins also possess the silver star beneath the adjacent Altar of the Nativity. Both the Armenians and the Catholic Latins have rights of passage and procession in the Nave. Yes, I knelt at the Altar, knowing this was a far cry from what it was like on the night Jesus was born. However, if this was the place…if this was even near the place, it was holy to me. 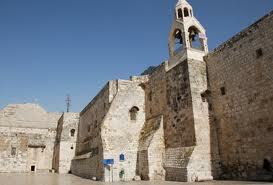 Click here for a tour of the Church of the Nativity and Manger Square. When Craig and I were there the church was empty except for our group of twelve. In this video you see many tourists. Try to imagine being there alone. To all who come to this place of joy, hope of enterprise and concepts of a future that promises new and exciting benefits for all. May EPCOT Center entertain, inform and inspire and above all, may it instill a new sense of belief and pride in man’s ability to shape a world that offers hope to people everywhere in the world. Walt Disney envisioned a model community of about twenty thousand residents. It would be a test bed for city planning as well as organization. It was to have been built in the shape of a circle with businesses and commercial areas at its center with community buildings, schools, and recreational complexes around it while residential neighborhoods would line the perimeter. Transportation would have been provided by monorails and PeopleMovers (like that in Magic Kingdom’s Tomorrowland.) Walt Disney was not able to obtain funding and permission to start work on his Florida property until he agreed to first build Magic Kingdom. He died nearly five years before Magic Kingdom opened. After that, the project was abandoned because only Disney could have pulled if off. Instead, Epcot remains a memorial to the man who could make imagination spring to life, to the joy and pleasure of millions all around the world. Click here to get a look at all the fun you can have at Epcot! 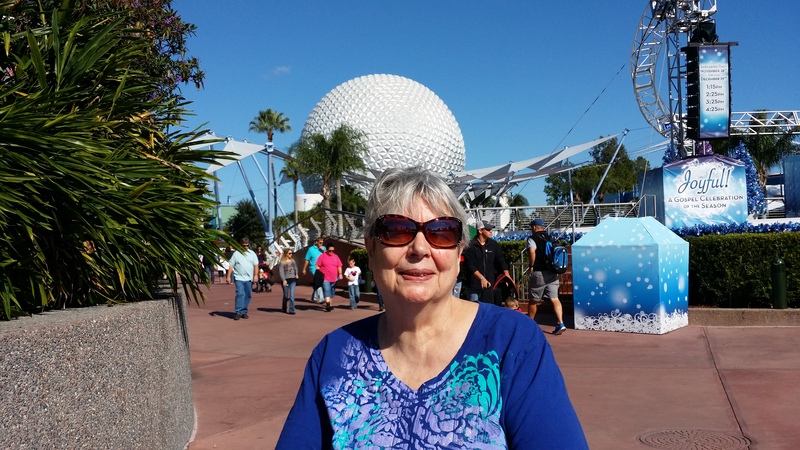 Where in the world is Vicki Andree? This one is easy. The first five people who correctly answer the question will win a signed copy of my latest book, The Miracle of You. This can be signed to you or to a friend as a gift. It’s that time of year, again! 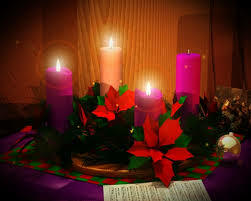 The Third Sunday of Advent. “Rejoice in the Lord, always. I will say it again: Rejoice” (Philippians 4:4)!